As we enjoy a very sunny summer, one of the hottest for some years, I can see the sales of garden games such as paddling pools and water guns going through the roof. Don’t worry at this point I’m not about to give you a recipe for flavoured waters (although the juice of one lemon, plus 1 tablespoon of sugar and half a pint of ice and water make a fantastic lemonade). Today’s message is a stark reminder that we have great water just at the turning of a tap and not to ever take that for granted. Some are not so fortunate though. I vividly remember back in 1982 in Malawi and a great plane of Namitembo; the hot summer drought where young children were dying from thirst and in many cases of malaria and cholera through a lack of fresh clean drinking water. 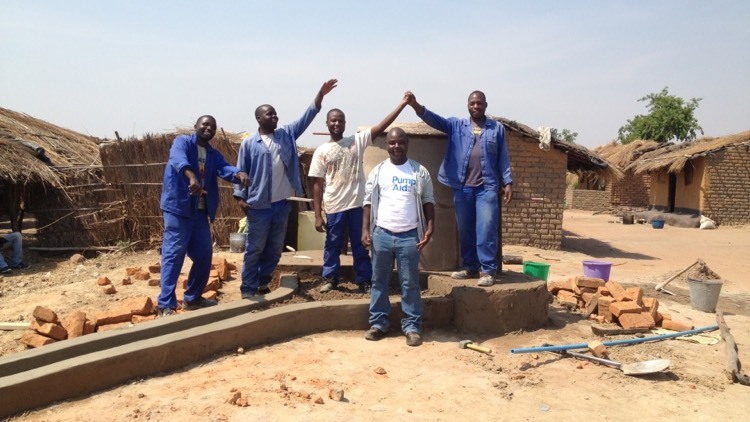 You can imagine how delighted I was to hear the news this week, that as a result of our customers buying thirsty planet water from our restaurants, we have managed to secure a 20th water well in the most needy parts of central Africa. There are now 20 villages who have freshwater to sustain life. A big thanks to all of our customers who have made this happen. As we play in the summer sun this year let’s be grateful for that simple, clean, clear freshwater.